Not that I care for most remakes...but it was originally a play, which leaves enough room for different interpretations. I recall that the movie, portrayed the witches as....Greenwich Village beatniks of the time (1950's), to visually show they were "different" folks. Kind of neat. Staid, secure publisher Shephard leads a quiet life until he meets his bewitching downstairs neighbor, Gillian. Gillian Holroyd is just your average, modern-day, witch, living in a New York apartment with her Siamese familiar, Pyewacket. But one day a handsome publisher, Shep Henderson walks into her building and Gillian decides she wants him--especially as it turns out he's marrying Merle Kittridge, an old poison penpal from Gillian's college days. With help from her aunt she obliges him to dump his fiancee, and ex college rival, and rush to her side. All of this goes against the grain of Gillian's Endora-like mentor Mrs. DePass, who does her best to counterract the love spell. Meanwhile, Gillian's wacky warlock brother Nicky courts disaster by coauthoring a book on black magic with Sidney Redlitch. Legend has it that a witch can neither cry or fall in love. So, Gillian casts a spell over Shep. But her powers are in danger of being exorcised by something stronger than the bell-book-and-candle routine: Love. John Van Druten's lighthearted Broadway comedy becomes a lush if lightweight romantic vehicle. This was originally a play, and Rex Harrison played the role of Shepherd Henderson with Lilli Palmer as Gillian. The movie, I recall was very entertaining with Stewart and Novak and a great cast. Though I would have loved to of seen Harrison's version on Broadway, too. Anyway....I think Paul would be fantastic for the role of the puzzled publisher who gets ensnared in a witch's spell. I'd have Screaming Jay Hawkins in the soundtrack..."I put a Spell on You, because you're My-ine!." "John Van Druten wrote Bell, Book and Candle. It ran for almost a year on Broadway, starring Rex Harrison and Lili Palmer and directed by its author. It closed only because he could not find a satisfactory substitute cast. Here, Gillian Holyrod is not just a witch, but a dealer in "primitive" art and with her black clothes, bare feet and hipster brother is clearly a beatnik, a threat to the 1950s status quo. Feminist scholars note she must trade in her chic Jean Louis wardrobe for a dumpy shirtwaist and jam her bare feet into spike heels to be worthy of love. As we learned from the tv show Bewitched, you just can't be a wife AND a witch. Yet, there is another interpretation. John Van Druten was gay, most famous for his play I Am a Camera, which became Cabaret. But, in Open Secret, David Ehrenstein notes that Bell, Book and Candle is his gayest work. "No one with any degree of familiarity with post WWII Greenwich Village will have any trouble seeing the "witches" and "warlocks" of this romantic fantasy for the gays and lesbians they really are, even in the midst of a purely heterosexual main plot." So, there are three ways of watching this glamorous product of the twilight of the Hollywood studio era. Uncritically, enjoying the superb comic performances and exquisite production design, as a pre-feminist cautionary tale, or with an intriguing subtext the author slipped magically through the Hollywood Production Code." Wouldn't this be a fun, light film? A little comedy without hitting you over the head with stupid bathroom humour, that you see all the time. It could be stylish if done the right way. There's maybe a bit of the Doc to his character...the whimsy...and there's no reason whatsoever that he'd have to do an "American" accent. He could be a British Publisher. Everybody from everywhere in the world lives in New York City and does business there. It's not a problem. The actress playing Gillian couldn't be merely "pretty" she has be alluring, cool and mysterious, like Kim Novak was in Hitchcock's Vertigo. She and her family have to be "different" but that could be a problem in NYCity. Everyone is different, which makes New York City unique. Anyway, it would be really cool. I agree, this would be something different for Paul to do. couldn't be British -with a bit of the Doc thrown in! Yeah, it would be fun to see this. Hopefully, it would be a fun film for the actors to make, too. I gather, the Shepherd character is kind of goofy, subdued, plodding and a perfect foil for Gillian, the artistic bohemian-witch with a zany family. I actually watched this movie for the first time a few months ago on TMC here in America. It was interesting.... Jimmie Stewart was a bit of a dork, but Jack Lemmon was pretty good. Who would you recommend for the Kim Novak role? >Who would you recommend for the Kim Novak role? Is there any female actress these days who has those combined qualities? The Hollywood system of creating and generating movies around actors and actresses was a weird thing, but it worked for the time (the Golden Age). It was a style of movie making. Things are very different today. Read a pretty good discussion about it the other day. Is all the glamour and style gone today? And would modern audiences really want Hollywood to go back to the old fashion way of making movies? >Mr. Bogdanovich, is the movie world that created Jimmy Stewart gone forever? PETER BOGDANOVICH, Film Director/Author: Oh, yes, completely gone. It was a whole system that found actors who were unusual, not necessarily versatile in the way we think of versatile actors today, but actors who had a personality, who had a certain quality that, as Alan Dwan said, jumped off the screen. That was star quality, and then the writers, the directors, the studio was working toward enhancing the personality, playing variations on that personality. That was--there was a whole system to that, and it was extraordinary and produced the greatest array of star actors in the history of the world. JIM LEHRER: So, would you agree that it's the lack of the personal--the movies are no longer personal creations anymore, they're committee, they're made by machines, whether--like in the old days, sorry, the classic days, directors and stars made these movies and writers? PETER BOGDANOVICH: Well, I think--I think what Leonard said, first of all, about actors is true. Starting with Brando, who was a very versatile actor, but was--happened to also be--had a star personality, but most of the actors today don't want to be stars; they want to be versatile. So you have a problem. The audience is the loser for that. It's no coincidence that many television series run for a long time with the same--basically the same show every week--that shows that the audience likes to have the same person every week. John Wayne wasn't always the same, but he was John Wayne with variations from picture to picture, as was Jimmy, as was Cary Grant, because they had very strong personalities of their own, which then writers and directors would play on. The same thing with directors. You know, Frank Capra made a certain kind of movie, Alfred Hitchcock, obviously, made a certain kind of movie. Today directors want to be versatile as well, or they haven't got a personality particularly. You know, I once bemoaned the state of the movies some years ago to Orson Welles, and he said, well, what do you want; he said, you know, the Renaissance only lasted 60 years. So maybe we're just in a period of decline, and we've got to face it. MALTIN: Of course, there's still talented and creative people with good ideas, good stories to tell, and yes, there are people who are willing to go out and see them, but I think there are an awful lot of people who sell the public short, who think that if they spend more money on the special effects or if they cram it full of this or that, that that's going to make the difference. Well, --these films, which have come along— XYZ, they're so quickly digested and forgotten. CHRISTINE CHOY, New York University: Well, because with heroism, you have to take a position, whether it is wrong or right, and it defends particular class, for instance, blue collar class, and this is more issues around, so it--commanding the audience to think, to intelligize, and to absorb, to identify the particular characters was today, I think it's not popular--. 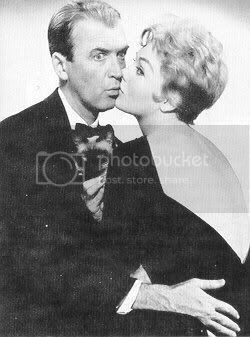 And I believe, you know, the person--Jimmy Stewart--who had a very, very clear position that he stood for, and was no longer popular. We want caricatures, rather than characters. We want fantasies, rather than dreams. And so it's no longer popular. >LEONARD MALTIN, Film Critic: Well, today actors almost avoid being stars. They want to be thought of as actors. They want to be thought of as someone who can play something different every time at bat. There are only a few exceptions to that rule, and so they don't want to be put on a pedestal. They don't want to seem larger than life. They don't want to treated the way I think we all regarded the people of Jimmy Stewart's era. And now I think people--there's another difference too, you know. People want to be seen as ironic. They don't want to be seen as heroic. It's strange. >PETER BOGDANOVICH: But I mean classic films, they don't--they haven't seen enough of the older films, films made in the 20's, 30's, 40's, 50's. You know, the real foundation of the art was in the silent era, which was where the image was everything. And most of the directors who directed in the 30's, 40's, and 50's had started in the silent era, and so that idea of the image being the main thing continued well into the talking era. That seems to have been lost as the younger generation has taken over, the younger generations have taken over. >LEONARD MALTIN: You know, I think what's interesting is that, yes, a lot of younger people--I couldn't agree more with people--they're not film literate, you might say--and yet, I think they still respond to the values of those old films when they turn up in new movies. The problem is that Hollywood doesn't believe it. I think the movers and shakers out here somehow think that it's old-fashioned, or it's not trendy to espouse certain values. And yet, when they do, people respond. I thought that was interesting, fantasies replaced....dreams. Hmmm. I don't see why there can't be a combination of both the ironic and the heroic. Surely there's enough room for stark reality and those films about dreams and hopes. Certainly, nobody wants to go back to the oppresive and not always honest "Hollywood Star System" but you know how it is when you throw the baby out with the bath water. There's still something lost. Thanks!! That was a good read. Have you watched recent "The Merchant of Venice"? I liked the actress who played Portia. She had something to her that I haven't really seen in a long time. Bell, Book and Candle will be shown on TCM (Turner Classic Movies) later this month on 8/26 at 2:15 am. I like the actress Miranda Otto (Eowyn--LOTR), but I don't think she would be right for this part. No I haven't seen the new Merchant of Venice, will look out for it. And thanks for the heads up on Bell, Book and Candle! Will mark it on my calendar! I'd like the record it. Last night there was a similar themed movie comedy "I married a witch" (1942) with Veronica Lake. Lots of silly humour, but fun. I love TCM and love to turn people onto the classics. And this is a movie worth catching. I watched I Married a Witch, too! It's really an enjoyable movie, fluffy but not stooopid. I wish I had hair like Veronica Lake. Thanks for that link, Down East. Interesting reading. Michelle Pheiffer would have been a great Gillian. Lynn Collins!! That's the actress who's name I was looking for! Anyway, I think she has something pretty femme fatale-like that would be great for the role!